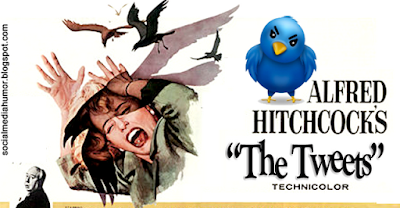 In Alfred Hitchcock's classic horror film The Birds, a town is paralyzed when birds viciously attack unsuspecting citizens. A remake of sorts is being done online and it's called The Tweets. Designed to give the common man a voice to be heard, Twitter has now become a loaded gun for politicians and celebrities with which to shoot their feet. Everyday, bad tweets seem be pecking their way into the media creating more havoc and ill-will than promotion. Certainly some are bigger offenders than others, but it's not just the orange-crested loons making bad tweets. It's companies too. So what's a bad tweet and how do you rebound from them?